On Sale Now! Free Shipping Included! 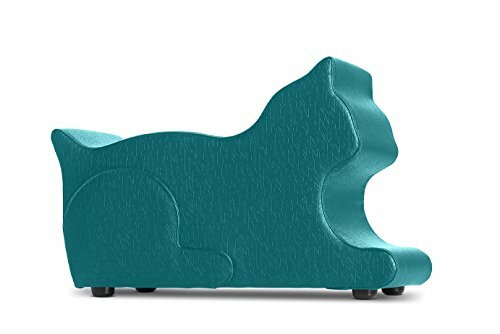 Save 3% on the Logic Furniture MEOWXTL17 Meow Ottoman, Teal by Logic Furniture at Indsight. MPN: MEOWXTL17. Hurry! Limited time offer. Offer valid only while supplies last. Meow says the cat. This cat shape is fun and playful for both patients and guests to enjoy. Meow transforms any healthcare facility into a kid . Meow says the cat. This cat shape is fun and playful for both patients and guests to enjoy. Meow transforms any healthcare facility into a kid . Perfect for waiting areas and pediatrics facilities. Fully upholstered in CF Stinson Impress with Sta-Kleen- Ink & Stain Resistant. This Sta-Kleen technology makes this seat resistant to soils, stains, ink, heavy duty abrasion, fluids, bleach-solution and fading. Includes black ½” nylon glides. Manufactured in Goshen, Indiana, USA.